What’s better than a restaurant with delicious food, live music, and great frozen margaritas? A bar and grill with delicious food, live music, great margaritas and pool tables! An evening of billiards, sipping on your favorite local beer, jamming out to some country tunes, and laughing with your friends and family is a night well spent, especially when it’s at The 4 Way Bar in Lakehills. 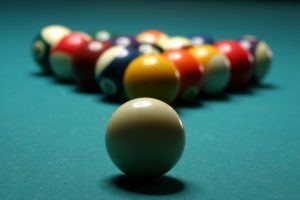 But what do you do when you love playing a game of pool, but aren’t up to snuff on the techniques? Well, we’ve got you covered. We can’t help you with the practicing part, but here are some tips from your favorite bar and grill in town. The Stance: When you’re lining up your shot, be sure that your stance is stable, provides plenty of clearance, and you feel comfortable. The Grip: Before you take a shot, think about the way you are holding onto the cue. You shouldn’t be gripping too tightly, but keep it loose and comfortable so it slides easily through your hands. The Bridge: The bridge is how you hold the cue in the hand that is resting on the pool table. Whether your bridge is open or closed, be sure to hold it steady and still during the stroke. Bridge Length: This is how much space is in between your resting hand and the tip of the cue. The bridge length should be equivalent to the stroke length. If you’re setting up for a soft shot, keep the length short. If getting ready for a power shot, lengthen the distance. Aiming: When checking your arm, be sure to keep the cue still and your eyes focused on the target. Give yourself enough time to pause and consider the shot. The Stroke: Before you make the shot, complete a couple of practice strokes. When you have everything lined up, be sure to not move anything except your forearm and don’t rush the final stroke. Your Elbow: Again, the only thing you’re moving during the stroke is your forearm. When taking a power shot, your elbow will naturally drop slightly. However, for nearly all shots and all skill levels, accuracy and consistency will be better if you try not dropping the elbow before contact is made. Stay Still: Keep your body close to the pool table and don’t move your head or body during the stroke. Speed: Don’t use more speed than is necessary for any given shot. Some shots require a soft touch, while others need some power behind it. Have a Beer: This isn’t an expert tip, but one that our bar and grill recommend. What’s better than playing a game of pool with a cold beer waiting for you after you sink that shot? 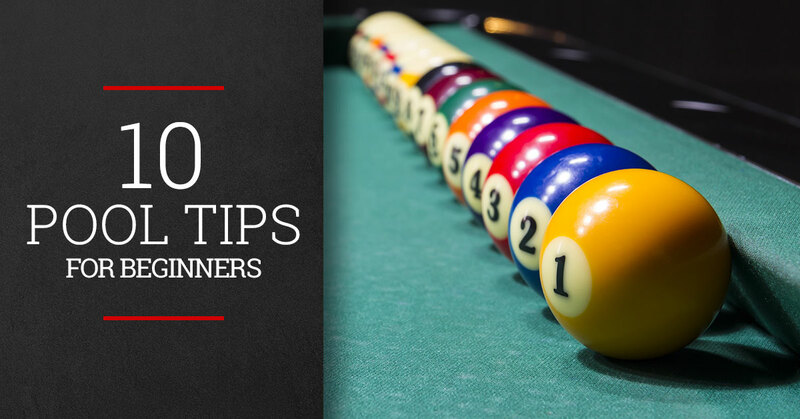 Before you come by our bar and grill for your next night out, keep these tips in the back of your head and you’ll be sure to impress anyone you play with. Whether you’re coming out for some live music, to catch up with an old friend, or to play a few rounds of billiards, when you come to The 4 Way Bar, we’ll treat you like family and make sure everything is as you like it. Visit us tonight in Lakehills.